In the olden days in Europe and also in America, a person of a certain class had a calling cards, which he would deliver to another person’s house as a way of introducing himself. Then, if that second person found the first person to be agreeable and wished to pursue an acquaintanceship, he would send a servant over to the first person’s house with his own card. I’m not sure how it was decided whether a person was agreeable or not based on just a name on a card. Maybe discreet enquiries were made. Upon receipt of the other person’s card, the first person may now visit the second person in their home during certain hours. The cards were kept in a fancy case, called the card case. 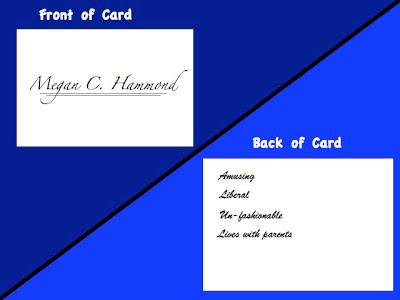 After a brief visit and conversation, then each person added notes on the back of the other's card -- some personal attributes and information which would aid them in planning the seating chart in the event of a dinner party. If a person was tipsy at 2:00 in the afternoon, then that person would not be seated next to the tee-totalling wife of the Member of Parliament. It was very important, at dinner parties, that people were seated in such a way to aid conversation and to avoid boredom and offense. That is why married couples were not seated together. Now in these modern times, we do not have calling cards. Some (employed) people have business cards and those are handed out at parties or accident scenes; perhaps one might get a card in return but there is not the expectation there once was attached to the exchange. One is not expected to visit the address on the business card unless one has business to do. 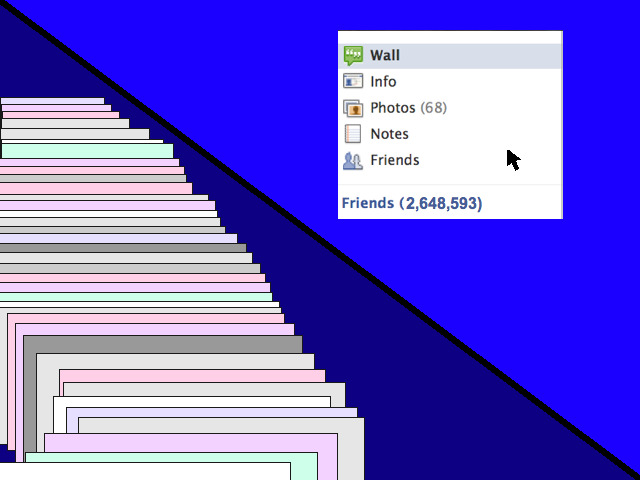 They are not designed to facilitate a social network, is what I’m trying to say. Speaking of social networks, when I was complaining to my mother about not knowing what to write about this topic, she suggested I write about Facebook. She was sort of snooty about it, “I would expect you of all people to have something to say about your experience with Facebook.” So fine, I’ll say something about Facebook. Yes, it is a social network, but it is artificial. A person sends a friend request (not unlike a calling card) and if the other person finds it acceptable (after a discreet glance at their public profile), they accept the request. Then they are “friends.” One can “visit” the other’s space, leave messages and invitations to play games, but maintaining this friendship requires isolation rather than integration. A person does not need to leave the house, instead one pushes a few buttons and stares at a screen. The more time a person spends interacting with virtual friends, the less time one has for real dinner parties and actual conversation with interesting people who are not your spouse (if you even have one). With the exception of the first paragraph, I made up everything in this essay. The analysis of Facebook is my own, therefore also made up.